Moving from the UK to Rio de Janeiro will necessitate learning the Portuguese language. While English is taught in Brazilian high schools, the use of Portuguese in Rio is almost total. There are many language schools available e.g. Carioca Languages which offers intensive 4 week classes for R$1,200 (£372). Brazil overtook the UK as the world’s sixth largest economy recently and, with low unemployment (5.8% in 2012) there are plenty of opportunities for expats in Rio’s traditional energy, petrochemical and industrial sectors or its fast growing financial and services sectors. Drawbacks to Rio de Janeiro life when compared with the UK include inflation (currently at 6.5% which causes price rises in shops and supermarkets every 3-4 months), lower quality service across the spectrum and lower availability of some goods and services. For example, Brazilian online shopping has not yet reached the standard it has in the UK. Brazil’s real estate market saw the world’s highest price rises in 2012. The average property price increased in Rio de Janeiro more than anywhere else – a whopping 19.8% rise (or 13.9% when adjusted for inflation). Rio has a tropical climate with a pronounced wet season which sees prolonged downpours between December and March. While there is a lot more rainfall per annum than in London there’s also a lot more sunshine – 40% more per annum on average. Temperature ranges are barely comparable – in Rio average lows in winter (August) are 19 °C and average highs in summer (February) are 30 °C. In London those figures are 2 °C and 23 °C respectively. 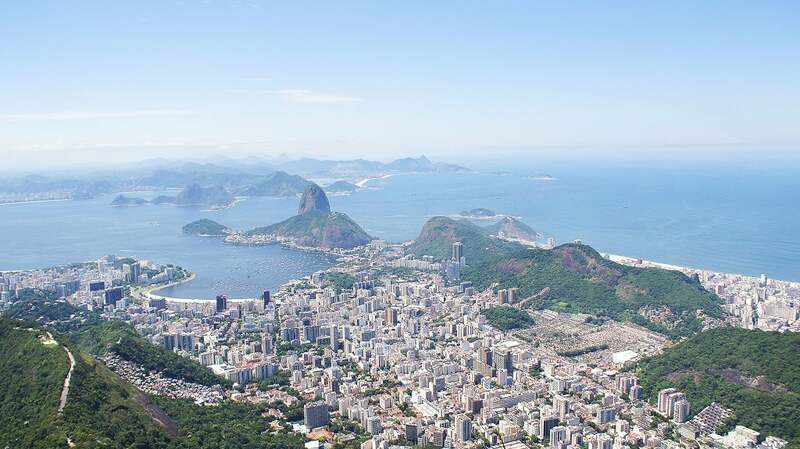 While the cost of living in Rio is, on the face of it, much cheaper than in London – property, rent, utilities, transport and food are all less expensive – you should take into account that salaries are much lower which vastly reduces the spending power of the average Carioca. Some parts of Rio de Janeiro are destitute and can be dangerous for foreign travellers or expats. Rio’s residents also report lower standards of health care and more pollution than Londoners. The cultural offerings of Rio de Janeiro are plentiful. The architecture spans the colonial era right through to the modern towers of the financial district. Particular highlights are the Teatro Municipal opera house – inspired by the Paris Opera House – and the National Library of Brazil – the largest library in Latin America it has some incredibly ornate reading rooms. Musically the city breathes to a samba beat – the city’s famous samba schools are a key element of carnival – but also has homegrown music genres: bossa nova, Choro and Funk Carioca.